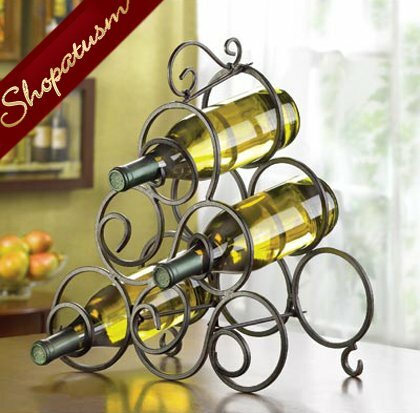 This is for a Wrought Iron Spiral Wine Rack Tabletop Bottle Holder from Shopatusm. A stylish space-saver! Wrought-iron spirals cleverly cradle six bottles of your favorite vintage. 13 1/2 inch x 7 inch x 15 1/4 inch high.